This is Part 2 of my series directed at showing you the of habits of emotionally resilient financial advisors. What is important to remember is that you don’t have to master all twenty of these habits in order to develop resilience to the stressors inherent in your profession. Emotional resilience involves the ability to withstand and rapidly rebound from psychological stress. If you admire your colleagues who seem to let stressors bounce off, as if they are protected by a layer of Teflon, don’t fret. They are not resilient because their DNA is different than yours. What humans have in common is that we are all hard-wired to be vigilant about life-threatening stressors. But, how you react to everyday potential stressors, such as those inherent in your career, is all under your control. In other words, once you understand the self-defeating habits you have employed, you can change them, and you can learn how to become resilient! Indeed, advances in brain and behavioral sciences have proven that these skills can be learned! It just takes an understanding of the causes of your stress and practicing a new way of interpreting and reacting to those stressors. This article addresses the second group of ten habits of emotionally resilient advisors. As with the first group, you don’t need to employ every one of these habits to become more resilient. Employing a few key habits will do the trick. 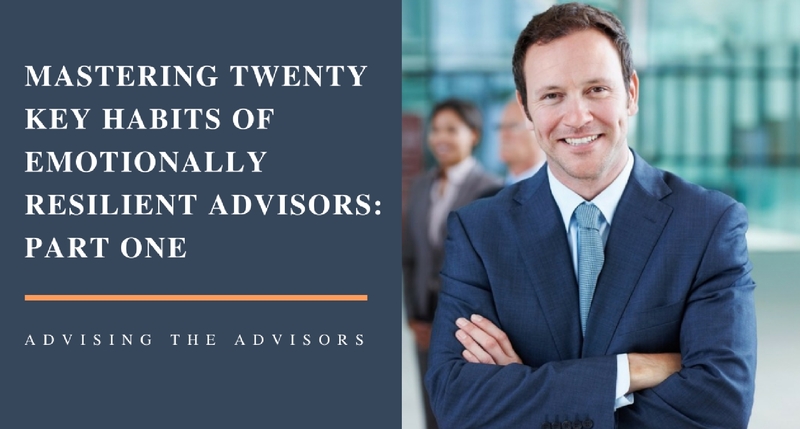 Advisors avoid many potentially stressful moments with their clients by employing methods of non-judgmental listening. This is a very powerful skill that can be learned and practiced. 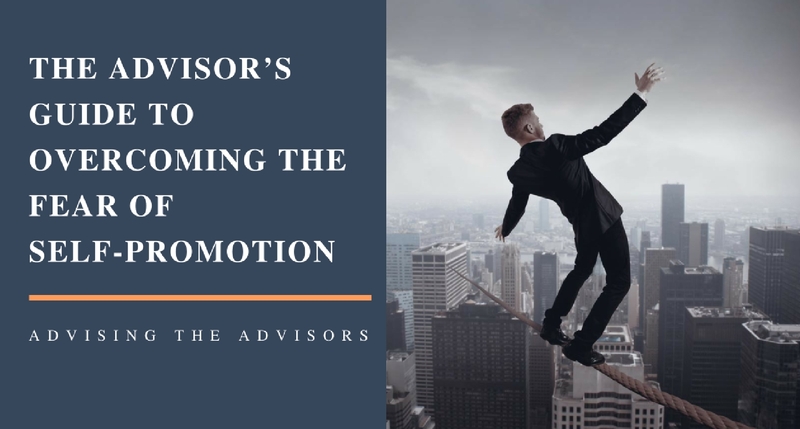 It involves putting yourself in the position of the client, empathizing with his/her point (without necessarily agreeing with it) and understanding where the client “is coming from.” Once that is established, the client calms her/himself, and a healthy, productive conversation can take place. 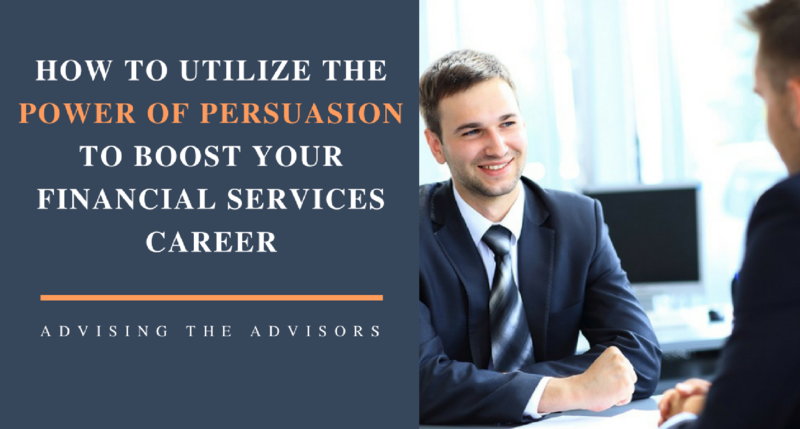 This technique is also a powerful method of engaging with prospective clients. (This is discussed in detail in my book). I have mentored many advisors who have developed the unfortunate habit of avoiding perceived confrontations at all costs. Consequently, they passively accept criticism and go along with “demands” of difficult clients. This behavioral pattern is referred to as “The Disease to Please.” Learning how to assert yourself (this does not mean being aggressive) is a crucial skill that everyone needs to learn in order to master stress. For more information, see “Don’t Say Yes When You Want to Say No,” by Fensterheim & Baer. 10 habits of emotionally #resilient #advisors who have conquered #stress. Sleep deprivation is often caused by uncontrolled processing and obsessing about anxiety-provoking events of the day or anticipated events about tomorrow. When you worry, the brain doesn’t know if the worry is about something life-threatening, so to be safe, it switches on the “fight or flight” system to deal with the “threat.” Part of that system is extreme vigilance, so any sleepiness disappears. In addition, adrenaline enters the bloodstream to deal with the stress, and adrenaline keeps one alert, again, the opposite of sleepiness. The answer is to learn how to reframe thoughts that keep us awake, recognize that nothing will be gained by rehashing situations at bedtime and learning how to let go of the fears connected with those thoughts. Good sleep hygiene and sleep meditation techniques aid tremendously in improving the quality of sleep. This one you are all familiar with. Walk, run, swim, bike, dance, go the gym, etc. Physical exercise releases endorphins that dramatically reduce both acute and chronic stress. Make sure that physical exercise, several times a week, is part of your ritual. Making sure that you build into your daily and weekly routines activities that relax you is critical for building resilience. Watching and attending sporting events, funny shows on tv, going shopping, going to movies, comedy clubs, you name it. Don’t cheat yourself by feeling guilty and deciding that you “can’t afford the time.” Your brain needs to be nurtured, just like your body does. It gets nurtured by sleep, exercise and distracting yourself from your daily stressors. Much research in life extension shows that people who live longer and healthier have a strong network of social support. If you are single, a widow/widower, or a loner, it is imperative that you reach out to local clubs, churches, etc., in order to join groups of folks with similar interests to yours. Friends and family you can count on is a major factor in building resilience to stress. Many of us focus so much on our problems, that we lose track of the people and events in our lives for which we are grateful. Keep a notebook on your nightstand. Just before retiring, focus on what happened during the day for which you are grateful. Write as many of these that you think of in your journal. This not only helps you to put your worries into perspective but also distracts you from the worrying that goes on at bedtime, keeping you from having quality sleep. We all face threats to our self-esteem and self-confidence. You have two choices: a) allow mistakes and “failures” to dominate your thinking, or b) recognize that these are temporary and not reflective of the wonderful traits that make you the person you are. Confidence and self-esteem are maintained by quickly bouncing back from unfortunate events and situations, remembering the traits that make you the person you are, and keeping your eyes focused squarely on the successes you expect to have in the future. Have you ever wondered how anyone could survive the overwhelming horrors of the Holocaust? One survivor, Viktor Frankel, a trained psychiatrist, wrote about how he trained his mind to survive, in his classic book, “Man’s Search for Meaning.” The essence of his thesis is that if you focus on the meaning and purpose in your life, regardless of the stresses and strains you suffer on the way, you will be healthier, physically and emotionally. Think about why you entered the financial services profession. Remember how many families you have provided such a wonderful service for, taking away their fears of outliving their resources, for example. Think about your core values in helping clients. All of this makes up your sense of purpose and meaning in life. Will there be disappointments and frustrations? Certainly. But overall, will you have touched the lives of many families in a very positive way during your career? Absolutely! Once you retire, find hobbies, sports, volunteer, etc., in order to find a new sense of purpose, and continually reflect on how many people you truly helped during your career. For more specific details on how to employ new thinking patterns to deal with them, please refer to my book, “The Financial Advisor’s Ultimate Stress Mastery Guide.” You can order your copy of this valuable guide here.